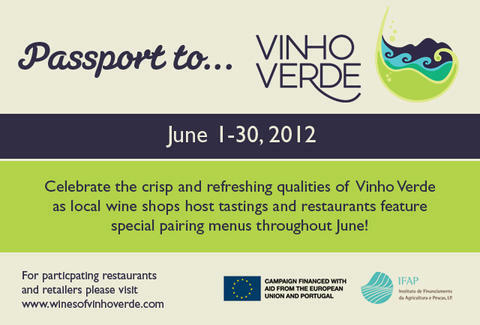 For the full month of June, Vinho Verde will be granting access to sampling soirees at fine wine retailers, and partnering with top NYC restos for one-of-a-kind menu match-ups. You'll thus have a prime, wallet-friendly opportunity to experience the young, sometimes sparkly flavors of northwestern Portugal. Without a doubt, you'll find Vinho Verde so versatile with pairings, you'll want to set it up with your sister, whose own internet ad describes her as "kind of difficult"
Click below to get the lowdown on what deals are good in your 'hood, then be sure to text “VINHO” to 88704, or visit their website for a chance to win a trip to Portugal for two.